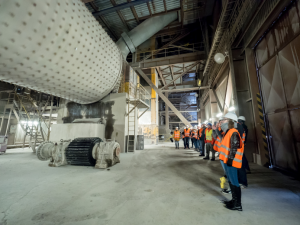 On March 16, 2018, in cooperation with partners of the AdMaS Center, a full-day excursion of students of Building Materials Engineering (branch M) took place in the production plants of CETRIS, CIDEMAT and Cement Hranice. Students had a unique opportunity to get acquainted with individual technologies of cement, cement-bonded chipboard, terrazzo and concrete paving. In the days of 9.1.-10.1.2018 and 14.3.-15.3.2018 there were seminars in the AdMaS area, dedicated to theoretical training and practical laboratory training in the basic training course of the nuclear power plants staff of the ČEZ corporation. 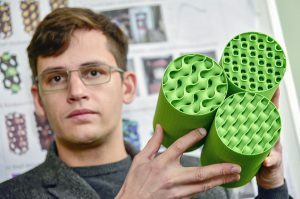 The theme focused on the properties of the building materials and the possibilities of their testing, including the use of state-of-the-art methods (including computer tomography, electron scanning microscopy and others). On March 12, 2018, TV station ČT 1 reported on the closure of the footbridge in Kromeriz in the Evening reports and in the Events in Regions program. The AdMaS team, headed by doc. Klusacek, is working to assess whether the footbridge is safe for use. Regional broadcasting ČT1 12. 3. 2018 at 18:00 h.
In February 2018, continued one-day training for employees of the Road and Motorways Directorate, organized by the AdMaS Center in cooperation with C.Q.E. The main topic was the Construction Supervision on the construction of roads. General knowledge was presented by AdMaS employee, prof. Ing. Jan Kudrna, CSc. and Ing. Květoslav Urbanec, MBA, employee of C.Q.E. The whole event, as in the past, has met with big success and a desire of the RHD employees to participate in such training on regular bases. On 15 February 2018, a profesional seminar with a focus on analytical instruments and material testing took place at the AdMaS Center Pavilion P2. The seminar was organized by LABTECH s.r.o. The event was divided into two sections – Analytical section and Material Testing with a total number of 35 listeners . 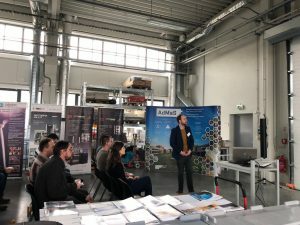 Within the Analytical section were presented devices and systems from company HIDEN Analytical, within Material testing were presented devices and systems from company MTS, Controls, Schleibinger and Dantec. Between the presentations, a short excursion of the AdMaS Center was carried out in pavilions P1, P2 and Hall H.
At the turn of January and February, a workshop for technical supervisors on site called “Checking and testing the properties of concrete and its components during construction” was held at the AdMaS Center . It dealt with concrete technology and testing its properties. Prof. Hela and dr. Hubacek presented their knowledge of the modern technology of ordinary concrete and informed about the concrete components and special types of concrete applied in specific conditions. 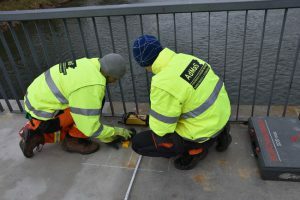 Also, part of the program was an assessment of concrete parameters according to the requirements of the standards and the regulations. 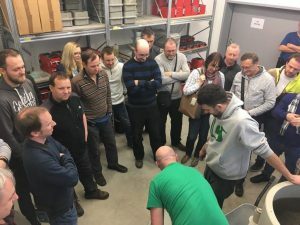 The issue of testing the properties of fresh and hardened concrete was discussed, including detailed practical examples of individual tests in laboratories. 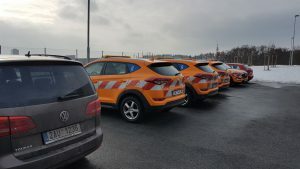 TV program ČT1 called Events in the regions was on 5 February 2018 devoted to truck traffic around the city of Brno and its associated noise in neighboring municipalities. In the report, employees of Center AdMaS, prof. Hela, doc. Zach, Ing. Nekulová and Mr. Klima were asked to express their opinion and to present the Center’s research on the sound insulation properties of walls and road surfaces. 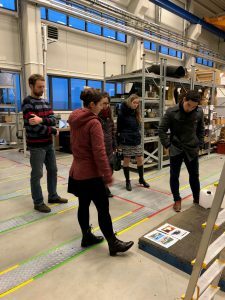 In the 20th year of the conference for young scientists, JUNIORSTAV, held on January 25, 2018 at FAST, the center visited several young researchers. These were acquainted with the Center’s facilities and key equipments and the most important research here. 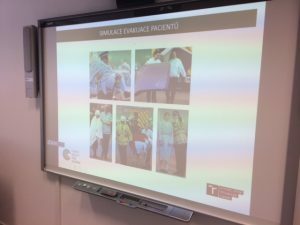 On January 25, 2018, the ADMaS Center lent its premises to the Healthcare Working Group, a part of SMART CITY CLUSTER. On January 24, 2018, the Brnensky.denik.cz web site released an article on the research of smart building filling. The research is being done by a group of AdMaS employees led by Dr. Ing. Jan Podroužek.